MPAA gives you easily access to diverse pools of professionals to whom you can ask for career advices, and lay the foundations of your professional network outside of academia. However, we know that one needs sometimes further help in developing a successful strategy at a career crossroads, such as during the last stages of your PhD. To help you at career crossroads, the MPAA is establishing a mentoring program to give you personalized guidance. The MPAA mentoring program is currently in a pilot phase. 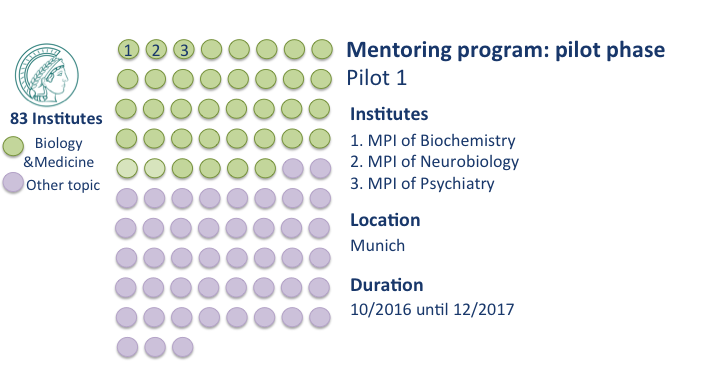 The pilot program is currently running with mentees of three MPIs in Munich: Biochemistry, Neurobiology and Psychiatry. This mentoring program aims to support PhD students and Postdocs either in making their idea into a business, or developing their career outside of academia. The program will grow organically to cover all the MPIs. 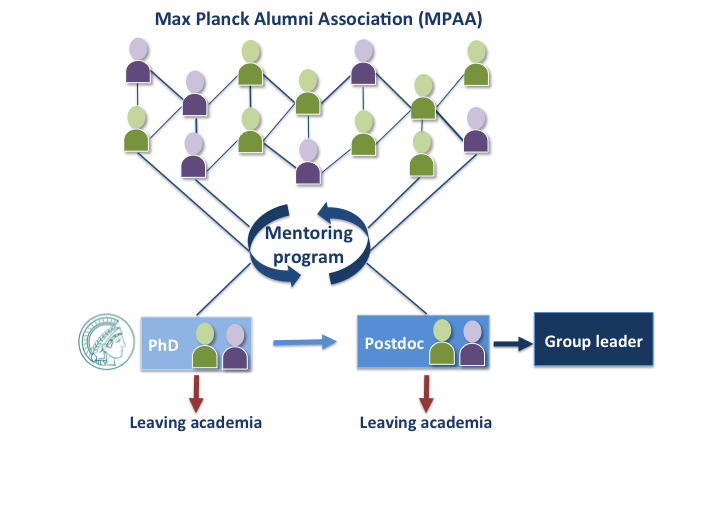 In a near future, both PhD students and Postdocs of all the 83 MPIs will have the opportunity to be mentored by a MPAA member.